Whether you’re towing teasers over the big blue or taming hero snook in the backcountry, this is your go-to rig. Famous for its soft ride and recognizable Carolina flare, this platform isn’t just good looks. The 2510 comes standard with a stand-up 40-gallon livewell with 2,200 GPH aeration, a large storage console suitable for a Porta Potti, easy access to pumps, strainers and valves as well as all the comforts the family demands. A big fuel tank and 350-horse rating mean you can go farther, faster with economical performance. 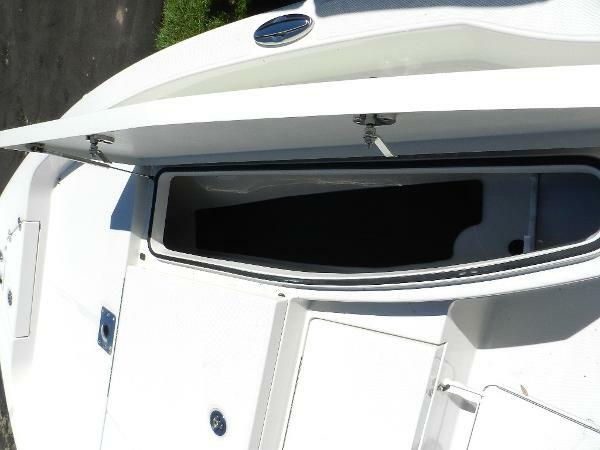 A wide-open layout hides storage everywhere, while delivering maximum stability and fishabilty. Standard with every 2510 is a dual-axle, alumiunm-framed Ranger Trail® trailer that boasts sealed LED lights, four disc brakes, a center swing jack and swing-away tongue for the utmost in security and storage options. 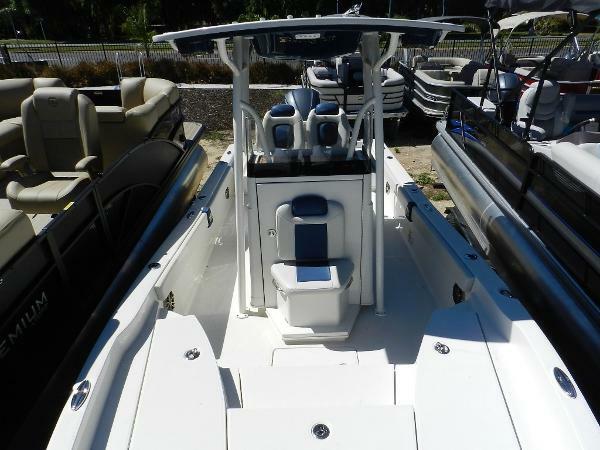 When you’re ready to step up your game in a big bay boat, the Ranger 2510 will take you to the next level. 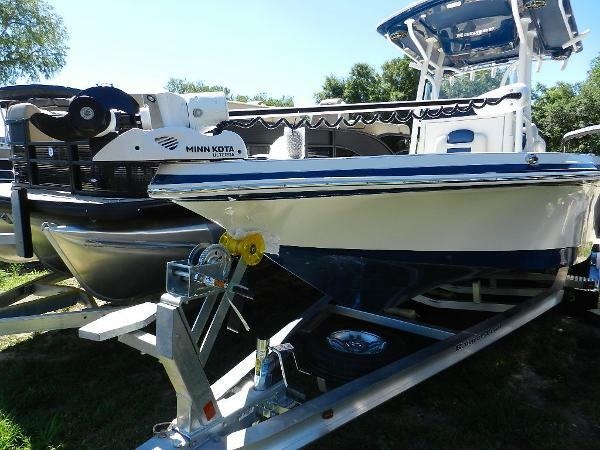 This Ranger Bay Boat is equipped with a Yamaha F300XCA, Minn Kota 112lb Ulterra, Powdercoated Matching Hardtop, Infinity Stereo Lowrance Link 8 VHF Radio, also includes deck mounted rod holders, LED Navigation lights, LED cockpit compartment, built in 120 Quart cooler and Ranger Trail trailer with LED lights.